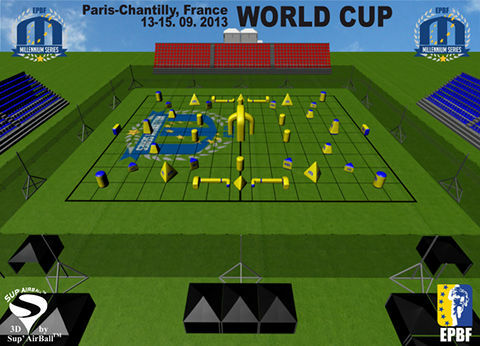 Entrance to the 2013 MILLENNIUM PARIS CHANTILLY WORLD CUP is, as always free and open to the public from SEPTEMBER 13 – 15, 2013. 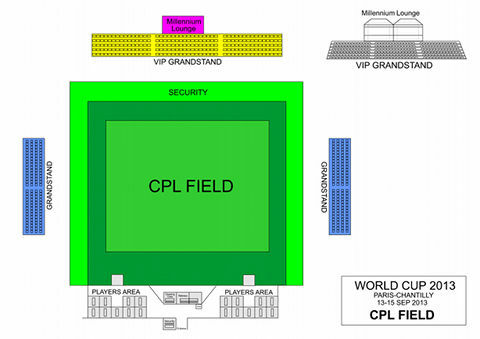 To watch any games on the CPL PRO Field from the VIP Grandstand, from 8am on the Friday, Saturday and Sunday , you will need tickets. The VIP Grandstand for the EPBF WORLD CUP GAMES will be free of charge and no tickets for these games are required. In addition to the VIP grandstand, there will be further grandstands available for holders of MS Player, Pit and Sponsor ID Cards, which will be free of charge, for the duration of the weekend. Enjoy a shaded seat with a unique view from above the VIP Grandstand. Complimentary food and beverages are provided throughout the day.